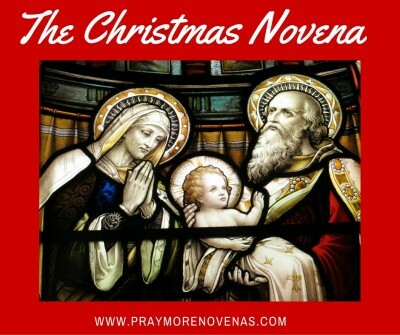 Here’s Day 2 of the Christmas Novena! Lord God, Jesus and Our Lady, thank you for the blessings in my life. I am sorry that all I do is moan! Please bring happiness to all throughout the world and peace and comfort to those experincing difficult times. Please watch over the vulnerable, the sick and those that are in need. Dear Jesus thank you for everthing. I ask you for daily strength for me and my kids to keep going through this hard time. Help us sell our house quickly. Help us with our financial problems. And help my husband with his addiction. Help him get a job. Guide me and help.me dear lord. Protect my kids and give us more faith. Thank you again. We love you. Lord, thank you for so many amazing blessings in our life. I pray that my husband, Steve, finds a job quickly. Help him to forgive, to know and to accept God’s plan for his life. Help him to realize the Truth of Jesus and Catholicism. Convert his heart and give him the gift of faith. Take his depression, confusion, demeaning tone and anger away. Help us pay our bills and get out of debt. By the power of the Lord, Jesus, transform our marriage and family relationships. Keep us healthy and safe. Save my mother from heart disease and my children from the evils of our culture. Give us constant hope and trust in You, Lord. Amen. Most precious Jesus and Savior, teach me your truths. Make me an instrument of your peace Oh Lord. Please send your Holy Spirit into our hearts & cleanse our lives for heaven while I work here on Earth doing your holy will. Amen . Give us the humility to know your will, & grow stronger day by day in faith. Transformed us oh Lord & guide us in all matters of the heart in our marriage. Heal pass transgressions as we walk together on our journey. Lord, my husband and I desire to be transformed in your loving Graces. Please give us discerning hearts. Use us to be strong spiritual prayerful people doing God’s will. Protect us here, from any unclean spirits in Jesus Holy name! Pray especially for people who left the faith and are now married to nonbelievers. Prayers for my neice maggie who is having infertility issues. Lord I place my financial needs into your hands. I place my son’s success in his exam into your hands. Dear Lord , Help me find my way to the child you med me to be . I feel so trapped in my abusive marriage. I have lived like this for over 30 yrs. If it your will show me the way out so I my serve you better. You gave these special word to my Dr. to say to me , ” God made you too , you deserve to be Love also ” . This has stuck in my mind ever since I heard him say this to me . Jesus I Trust in You !!! Your loving child of God , Amen . During this holy season of advent, as we prepare for our sweet baby Jesus to come into the world . Pray that we might be made ready to receive him. And as we consider the holy family,; the vision of what a family in God looks like, that we may receive the graces of unity, and healing of brokenness in our families. Amen. Dear Lord Thank you for all the blessings you have given me and my family. I ask if you may guide my son and let him see the errors in his ways. He actions are criminal and he has broken apart his family over greed and his ego. My he see the light and repent. I ask you to please help me in this time and ensure that he doesnt get away with his intentions. Dear Lord i need you to give me the strength as each day becomes very difficult. Thank You Dear Lord. Thank you for guiding me to find the address of a priest when all avenues were closed. I have also walked for a little while and l pray that you Holy Mother will strengthen me further that l may be of service to others. Lord please heal the relationship of mommy and nanay. Let there be peace in our home. Lord, may passing all my subjects and graduating by april 2017 be one of your many blessings to us. Please help me find address and that l will hear nothing from hospital that is bad. Please Holy Mother care for my family and for my husband that his anxiety may lessen.